Just got back from Jackson Hole where I had the chance to visit Grand Teton NP and get the shot I always wanted. 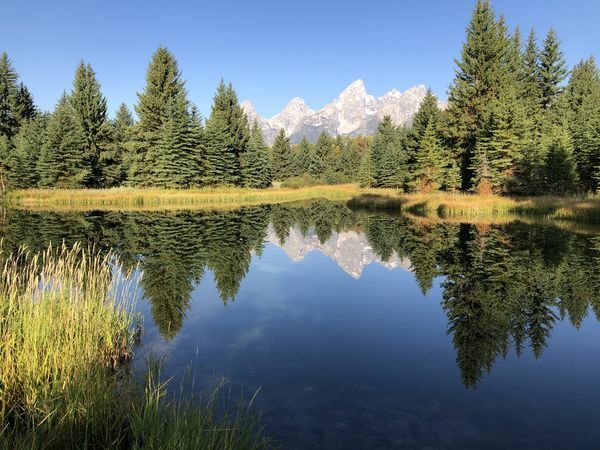 Still water at sunrise at Schwabacher ‘s. Landing. It was magical standing there in the quiet morning with pure majesty in front of me. I’ve seen the shot before but when you’re there you feel lucky and elated to be witnessing such beauty. I’ll try to post the shot from my camera which is more impressive when I have time this evening. 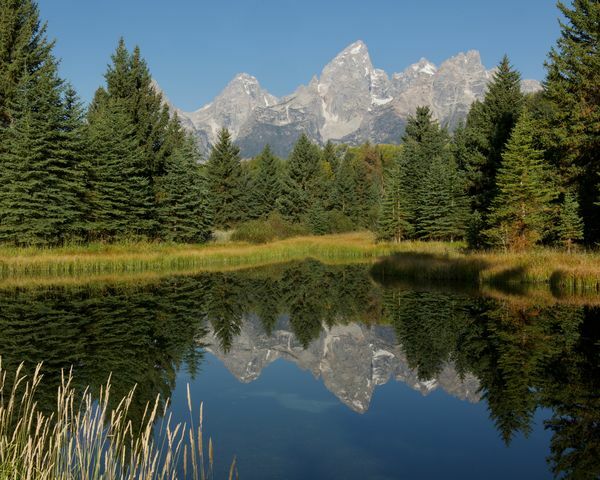 Was there in late May, the Tetons are beautiful no matter where you are. I shot them for miles and miles, from one end to the other. You have an amazing image, the water is like a mirror it's so smooth. I knew of this place when I visited, but alas, I can't walk well anymore so had to pass it up. Great job on this breathtaking scene. Very nice image. A wall hanger for sure. That is a pretty one...well taken.